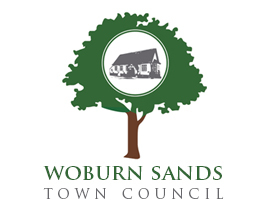 The civil parish of Woburn Sands is administered by Woburn Sands Town Council constituted of nine elected or co-opted councillors, all of whom work on a voluntary and non-political basis. The Town Council meets formally at 19.30 on the second Monday of every month (except August) in the Council Offices at the rear of The Memorial Hall (see link for agendas and minutes). The first ten minutes of each meeting provide an opportunity for members of the public to raise issues or to ask questions. The public are also welcome to observe these meetings. The parish raises an annual precept which is collected as part of the Council Tax, and from this they run the town through a small team of paid staff led by the Town Clerk. The Town Council holds an Annual Town Meeting once a year in April. This public meeting provides an opportunity to report on the council's work over the past year and plans for the future. We are also responsible for various open spaces in the town: the Recreation Ground, the Memorial Green, Mowbray Green and Edgewick Farm. We also own and maintain the Shoppers Car Park off Russell Street. The open spaces in Parklands are managed by Milton Keynes Council. The Town Council produces a quarterley Newsletter delivered free to all households in the parish, and has a column every month in the Hogsty End Handbook. The Home page of this website carries any headline news. Bins, Bags and Boxes - Find out what goes in each bin, bag and box, and where to get more recycling sacks.